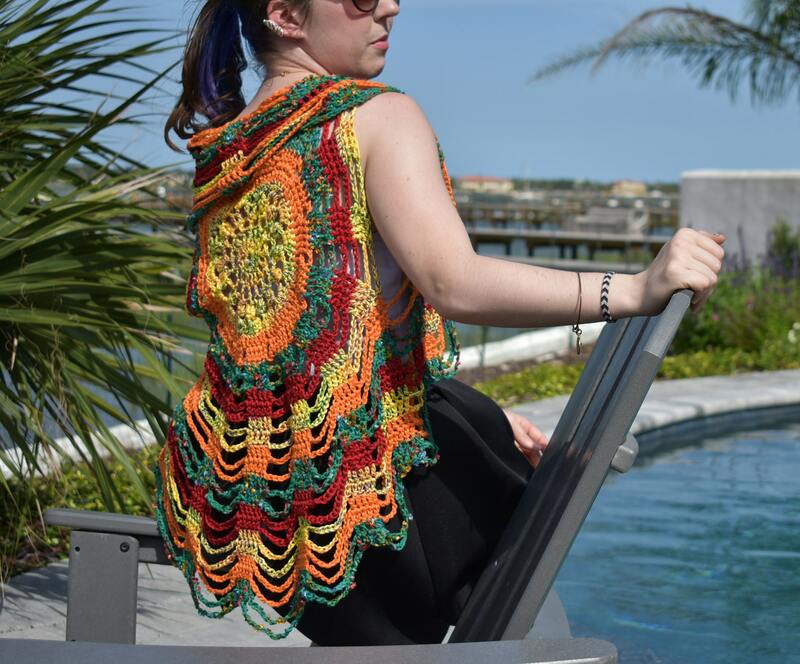 This crochet circle vest or mandala vest is bright and festive in yellow, orange, red and green lightweight cotton yarn. 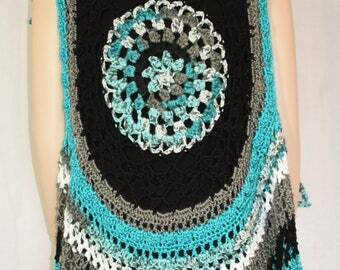 Imagine yourself twirling around at a music festival in this delightful vest! It's a misses / ladies / women's size small (fits sizes 4 - 8). 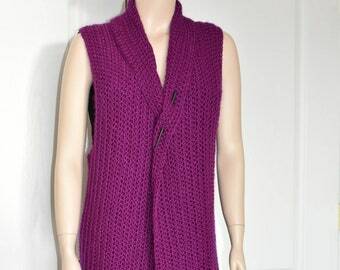 This vest is 15" across the back between the arm holes. When laid flat, the circle measures 35" across. 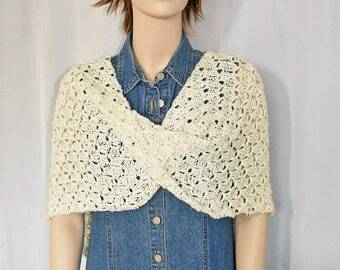 When worn, it folds over at the collar about 5 inches and hangs about 30" long from the shoulder to the bottom edge. 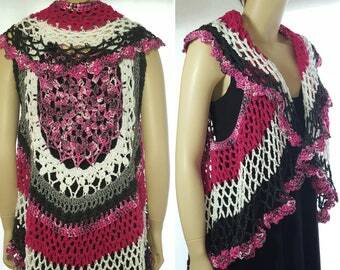 The vest has large arm holes and a lacy (flexible) design so it will fit a variety of bust sizes. To ensure it fits, I'd suggest making sure 15" is wide enough across the back. 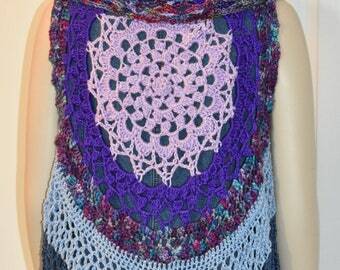 A black wooden shawl stick is included, which you can use to close up the front when ever you'd like! Whenever it needs to be cleaned, I would suggest hand washing and laying flat to dry. 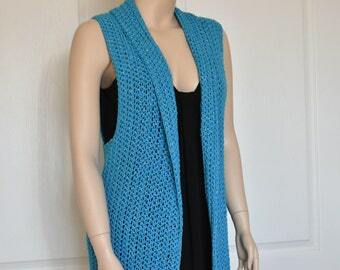 If you would like this vest in a different size or colors, please select the "request custom order" button in the left menu bar on my shop page https://www.etsy.com/shop/GreatCrochet?ref=hdr_shop_menu. I'll whip one right up for you!